Adventure awaits Minnie and Mickey in this happy hand-painted statue. When these two say cheese, they really mean it… and want it! Minnie snaps a quick pic of Mickey before they head out on a magical world tour. 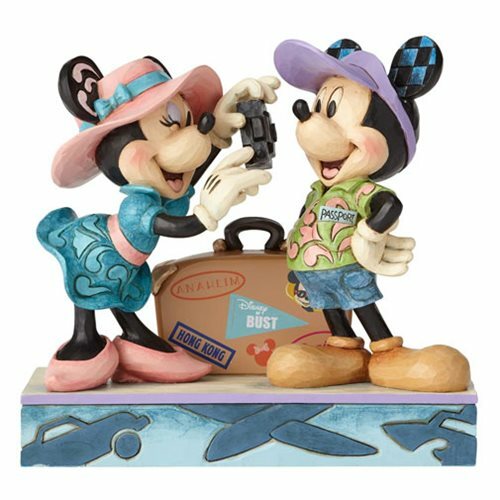 Sculpted from high-quality stone resin and hand painted in tropical colors, this happy Disney Traditions Travel Mickey and Minnie Mouse Adventure Awaits Statue is a lively capture of an exciting life moment for the famous pair. It's Disneyland or bust! Ages 14 and up.